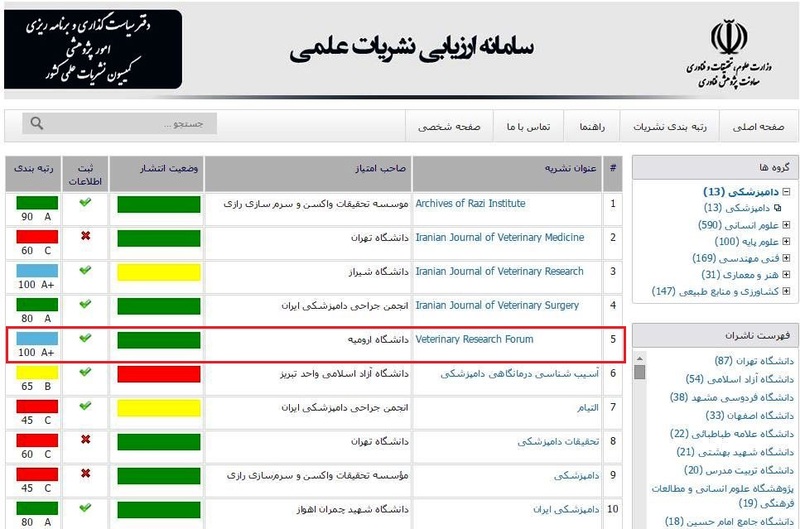 To build on our successive achievements, we are very pleased to announce that Veterinary Research Forum (Published by Urmia University) by succeeding to acquire A+ (100) credit from Ministry of Science, Research and Technology has been selected as the top veterinary magazine of the year. On behalf of editorial board, I would very like to thank all scientists, authors, veterinarians and scholars who contributed to this great accomplishment. We are looking forward to receiving more of your quality papers.